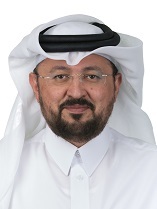 Waleed Al Sayed was appointed as Deputy CEO - Ooredoo Group and CEO - Ooredoo Qatar in November 2015. Through his managerial and board duties at Ooredoo Group companies, Waleed has developed extensive experience in the information and technology sector, both in Qatar and the wider region. He was previously Chief Operating Officer of Ooredoo Qatar and currently serves as Chairman of the Board of Ooredoo Tunisia; Chairman of the Board of Ooredoo subsidiary STARLINK – Qatar; and as Board Member of MEEZA (a technology joint venture between Ooredoo and Qatar Foundation). Waleed was previously Deputy Chairman of Ooredoo Algeria. He was also the Chairman of the Qatar Handball Team and a member of Ooredoo’s Football team. He holds an Executive Masters in Business Administration from HEC Paris with full honours. Waleed joined Ooredoo Group in 1987 and has held managerial positions in Sales, Marketing, Business Development, Strategy, Project Management, Communications and Customer Service. He was appointed as Executive Director of Group Communications in 2003. In this strategic role, Waleed was instrumental in putting a company-wide business plan in place with a clear strategy to significantly improve the organisation’s corporate image as well strengthening the company’s international and community relations standing. He also developed and delivered several Corporate Social Responsibility (CSR) initiatives that have positioned Ooredoo among the leading CSR supporters in the country. During this period, he was also instrumental in carrying out several successful campaigns resulting in Ooredoo (then called Qtel) winning many internationally recognised industry awards. Waleed was appointed Executive Director - Customer Services in 2006 to establish a greatly enhanced and improved customer experience. During an important time following the liberalisation of Qatar’s telecoms market and the introduction of competition, he led the transformation of the company’s Customer Service Centres to become more retail sales and customer-oriented, with the aim of engaging with and getting closer to its customers. The new retail shop designs went on to win a worldwide award for the “Best Retail Shop Design” in 2009. His early achievements in this position were followed in 2010 by additional accolades and success, as Ooredoo won the highest number of honours at the “Contact Centre World Awards” held in the United Kingdom, where Waleed’s presentation won the Gold Award for Best Customer Service in the MENA (Middle East & North Africa) region. In 2011, Waleed was appointed as Chief Operating Officer of Ooredoo Qatar. During a period of heightened competition, he led the business to continued growth, increased customer-centricity and a more dynamic business culture. Reinaldo Valenzuela received a Bachelor of Science degree from the University of Chile and a Ph.D. from Imperial College, London. He is currently Director of the Wireless Communications Research Department at Bell Laboratories, and is a Distinguished Member of Technical Staff. 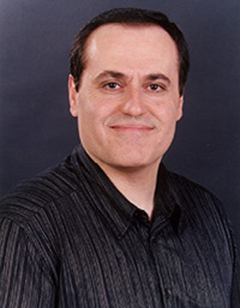 Valenzuela has been at the forefront of many recent advances in wireless systems; his research includes propagation measurements and models, MIMO/space time systems achieving high capacities using transmit and receive antenna arrays, HetNets, small cells, and next generation air interface techniques and architectures. The author of more than 185 papers, he has 44 issued patents and more than 22,000 citations in Google Scholar. Valenzuela is a 'Highly Cited Author' in Thomson ISI, a Fulbright Senior Specialist, an IEEE Fellow, a Bell Labs Fellow and a WWRF Fellow. For his pioneering contributions to MIMO technology, he was awarded the 2010 IEEE Eric E. Sumner Award. He is a recipient of the 2015 IEEE VTS Avant Garde Award. 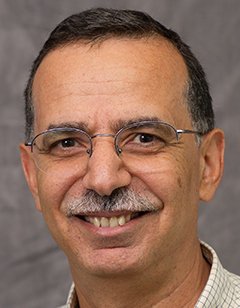 Mostafa Ammar is a Regents' Professor with the School of Computer Science at the Georgia Institute of Technology. He has been with Georgia Tech since 1985. Dr. Ammar received the S.B. and S.M. degrees from the Massachusetts Institute of Technology in 1978 and 1980, respectively and the Ph.D. degree from the University of Waterloo, Ontario, Canada in 1985. Dr. Ammar's research interests are in network architectures, protocols and services. He has contributions in the areas of multicast communication and services, multimedia streaming, content distribution networks, network simulation, disruption-tolerant networks, virtual network design, and most recently in mobile cloud computing. He has published extensively in these areas. To date, 33 PhD students have completed their degrees under his supervision; many have gone on to distinguished careers in academia and industry. Dr. Ammar has served the research community in multiple roles. Most notably, he served as the Editor-in-Chief of the IEEE/ACM Transactions on Networking (ToN) from 1999 to 2003, and he was the co-TPC Chair for the IEEE ICNP 1997, ACM CoNEXT 2006 and ACM SIGMETRICS 2007 conferences. His awards include the IBM Faculty Partnership Award (1996), Best Paper Award at the 7th WWW conference (1998), the Georgia Tech Outstanding Doctoral Thesis Advisor Award (2006), the Outstanding Service Award from the IEEE Technical Committee on Computer Communications (2010), and the ACM Mobihoc Best Paper Award (2012). Dr. Ammar was elected Fellow of the IEEE in 2002 and Fellow of the ACM in 2003. Gerhard Fettweis earned his Ph.D. under H. Meyr's supervision from RWTH Aachen in 1990. After one year at IBM Research in San Jose, CA he moved to TCSI Inc., Berkeley, CA. Since 1994 he is Vodafone Chair Professor at TU Dresden, Germany, with currently 20 companies from Asia/Europe/US sponsoring his research on wireless transmission and chip design. He coordinates 2 DFG centers at TU Dresden, cfAED and HAEC. Gerhard is IEEE Fellow, member of acatech, has an honorary doctorate from TU Tampere, and has received multiple awards. In Dresden he has spun-out ten start-ups, and setup funded projects of more than EUR 1/3 billion volume. He has helped organizing IEEE conferences, most notably as TPC Chair of IEEE ICC 2009, IEEE TTM 2012, and General Chair of VTC Spring 2013. He remains active within IEEE. Mung Chiang is the Arthur LeGrand Doty Professor of Electrical Engineering at Princeton University and the recipient of the 2013 Alan T. Waterman Award. He created the Princeton EDGE Lab in 2009 to bridge the theory-practice divide in networking by spanning from proofs to prototypes, resulting in a few technology transfers to industry, several startup companies and the 2012 IEEE Kiyo Tomiyasu Award. He serves as the inaugural Chairman of Princeton Entrepreneurship Council and the Director of Keller Center for Innovation in Engineering Education at Princeton. His Massive Open Online Courses on networking reached over 250,000 students since 2012 and the textbook received the 2013 Terman Award from American Society of Engineering Education. He was named a Guggenheim Fellow in 2014. Title of Talk: 5G: An Evolution or A Revolution? Mérouane Debbah entered the Ecole Normale Supérieure de Cachan (France) in 1996 where he received his M.Sc and Ph.D. degrees respectively. He worked for Motorola Labs (Saclay, France) from 1999-2002 and the Vienna Research Center for Telecommunications (Vienna, Austria) until 2003. From 2003 to 2007, he joined the Mobile Communications department of the Institut Eurecom (Sophia Antipolis, France) as an Assistant Professor. 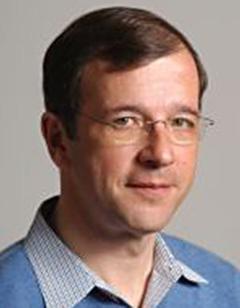 Since 2007, he is a Full Professor at CentraleSupelec (Gif-sur-Yvette, France). From 2007 to 2014, he was the director of the Alcatel-Lucent Chair on Flexible Radio. Since 2014, he is Vice-President of the Huawei France R&D center and director of the Mathematical and Algorithmic Sciences Lab. His research interests lie in fundamental mathematics, algorithms, statistics, information & communication sciences research. He is an Associate Editor in Chief of the journal Random Matrix: Theory and Applications and was an associate and senior area editor for IEEE Transactions on Signal Processing respectively in 2011-2013 and 2013-2014. Mérouane Debbah is a recipient of the ERC grant MORE (Advanced Mathematical Tools for Complex Network Engineering). He is a IEEE Fellow, a WWRF Fellow and a member of the academic senate of Paris-Saclay. He is the recipient of the Mario Boella award in 2005, the 2007 IEEE GLOBECOM best paper award, the Wi-Opt 2009 best paper award, the 2010 Newcom++ best paper award, the WUN CogCom Best Paper 2012 and 2013 Award, the 2014 WCNC best paper award, the 2015 ICC best paper award as well as the Valuetools 2007, Valuetools 2008, CrownCom2009 , Valuetools 2012 and SAM 2014 best student paper awards. In 2011, he received the IEEE Glavieux Prize Award and in 2012, the Qualcomm Innovation Prize Award. In 2015, he received jointly the 2015 IEEE Communications Society Leonard G. Abraham Prize and 2015 IEEE Communications Society Fred W. Ellersick Prize. 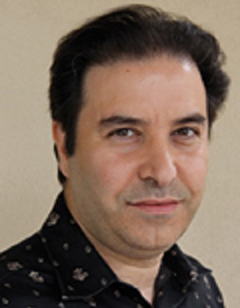 Babak Hassibi is the Gordon M. Binder/Amgen Professor of Electrical Engineering at the California Institute of Technology (Caltech). He received the B.S. degree in electrical engineering from the University of Tehran in 1989, and the M.S. and Ph.D. degrees in electrical engineering from Stanford University in 1993 and 1996, respectively. At Stanford his adviser was Thomas Kailath. He was a Research Associate in the Information Systems Laboratory at Stanford University during 1997-98 and was a Member of the Technical Staff in the Mathematics of Communications Research Group at Bell Laboratories in 1998-2000. Since 2001 he has been at Caltech. His research is broadly in the areas of communications, signal processing and control. 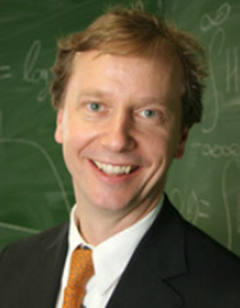 Among other works, he has shown the h-infinity-optimality of the least mean squares filter, used group-theoretic techniques to design space-time codes and frames and to study entropic vectors, performed information-theoretic studies of various wireless networks (such as determining the capacity of the MIMO wiretap channel), constructed tree codes for interactive communication and control, developed various algorithms and performance analyses for compressed sensing and structured signal recovery, studied epidemic spread in complex networks, and co-invented real-time DNA microarrays. 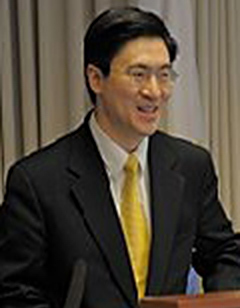 He is the recipient of the 2003 Presidential Early Career Award for Scientists and Engineers (PECASE), the 2003 David and Lucille Packard Fellowship for Science and Engineering, the Okawa Foundation Research Grant in Information Sciences in 2002 and the National Science Foundation Career Award in 2002. 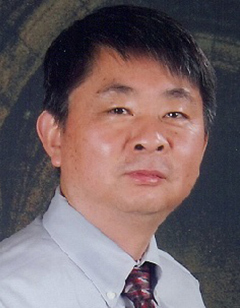 Dr. Geoffrey Li is a Professor with the School of Electrical and Computer Engineering at Georgia Institute of Technology. He is also holding a Cheung Kong Scholar title at the University of Electronic Science and Technology of China since 2006. 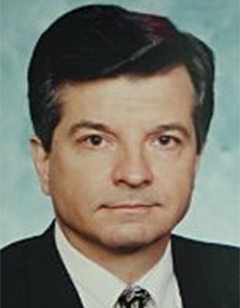 He was with AT&T Labs – Research for five years before joining Georgia Tech in 2000. His general research interests include wireless communications and statistical signal processing. In these areas, he has published over 300 referred journal and conference papers in addition to 26 granted patents. His publications have been cited over 20,000 times and he has been listed as the World’s Most Influential Scientific Mind, also known as a Highly-Cited Researcher, by Thomson Reuters. He has been an IEEE Fellow since 2006. He received the Stephen O. Rice Prize Paper Award in 2010 and the WTC Wireless Recognition Award in 2013 from the IEEE Communications Society and the James Evans Avant Garde Award in 2013 and the Jack Neubauer Memorial Award in 2014 from the IEEE Vehicular Technology Society. Recently, he won 2015 Distinguished Faculty Achievement Award from the School of Electrical and Computer Engineering, Georgia Tech. Ross D. Murch (M'84-SM'98-F'09) is a Chair Professor in the Department of Electronic and Computer Engineering at the Hong Kong University of Science and Technology (HKUST). His research contributions include more than 200 publications and 20 patents on wireless communication systems and antennas including MIMO, OFDM, MIMO antennas and propagation, and these have attracted over 10,000 citations. 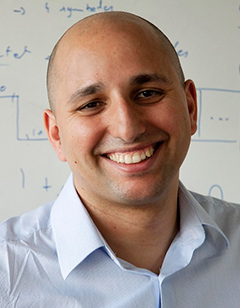 His current research interests include the Internet-of-Things, energy harvesting, and reconfigurable systems. His unique expertise lies in his combination of knowledge from both wireless communication systems and electromagnetics. He is the founding and current Director of the Center for Wireless Information Technology, HKUST and also acts as a consultant for industry and government. He has been the publication editor, area editor and associate editor for IEEE Transactions on Wireless Communications, the Chair of the IEEE Communications Society technical committee on wireless communications and is also a distinguished lecturer for IEEE Vehicular Technology Society. He has been the David Bensted Fellow, Simon Fraser University, Canada and was an HKTIIT fellow at Southampton University, U.K. He was the Technical Program Chair for the IEEE Wireless Communications and Networking Conference in 2007, Keynote Chair for IEEE International Conference on Communications in 2010, and also the Advanced Wireless Communications Systems Symposium in IEEE International Communications Conference in 2002. He was also a keynote speaker at IEEE GCC 2007, IEEE WiCOM 2007, IEEE APWC 2008, and IEEE ICCT 2011. Prof. Ross Murch has a strong interest in education and enjoys sharing his experiences with students. He received his Bachelor's and Ph.D. degrees in Electrical and Electronic Engineering from the University of Canterbury, New Zealand. He is also a Fellow of IEEE, IET and HKIE. Jean Walrand received his Ph.D. in EECS from UC Berkeley and has been on the faculty of that department since 1982. He is the author of An Introduction to Queueing Networks (Prentice Hall, 1988) and Communication Networks: A First Course (2nd ed. McGraw-Hill, 1998) and co-author of High-Performance Communication Networks (2nd ed, Morgan Kaufman, 2000), Communication Networks: A Concise Introduction (Morgan & Claypool, 2010), Scheduling and Congestion Control for Communication and Processing networks (Morgan & Claypool, 2010), and Probability in Electrical Engineering and Computer Science (Amazon, 2014). His research interests include stochastic processes, queuing theory, communication networks, game theory and the economics of the Internet. Prof. Walrand is a Fellow of the Belgian American Education Foundation and of the IEEE and a recipient of the Lanchester Prize, the Stephen O. Rice Prize, the IEEE Kobayashi Award and the ACM Sigmetrics Achievement Award. Albert Zomaya received his B.S. degree (1987) from Kuwait University in Electrical Engineering and PhD degree (1990) in Control Engineering from Sheffield University, United Kingdom. 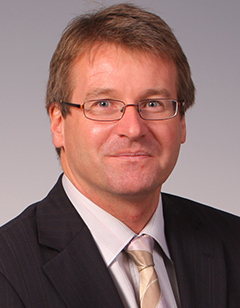 He is currently the Chair Professor of High Performance Computing & Networking and Australian Research Council Professorial Fellow in the School of Information Technologies, The University of Sydney. He is also the Director of the Centre for Distributed and High Performance Computing, and the Editor in Chief of the IEEE Transactions on Computers and Springer's Scalable Computing. Zomaya is a Fellow of the IEEE, Fellow of the American Association for the Advancement of Science, a Fellow of the Institution of Engineering and Technology, a Distinguished Engineer of the ACM and a Chartered Engineer (CEng). He received the 1997 Edgeworth David Medal by the Royal Society of New South Wales for outstanding contributions to Australian Science. He is the recipient of the IEEE Technical Committee on Parallel Processing Outstanding Service Award (2011), the IEEE Technical Committee on Scalable Computing Medal for Excellence in Scalable Computing (2011), and the IEEE Computer Society Technical Achievement Award (2014). His research interests are in the areas of complex systems, parallel and distributed computing, and green computing.